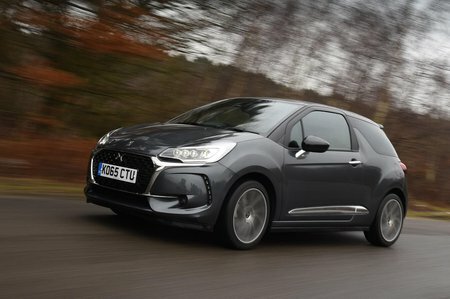 DS DS 3 1.2 PureTech 130 Cafe Racer 3dr 2019 Review | What Car? What Car? will save you at least £424, but our approved dealers could save you even more. There’s nothing wrong with the way this engine goes – it pulls strongly and whips you up to 62mph in just 8.9sec. It’s also pretty efficient. However, it’s only available in the top trims, meaning it’s pricey and hard to recommend.